Whether you buy into the hype of Valentine’s Day or not, there’s no denying love is in the air. Regardless if you’re feeling a bit more like Grinch than Cupid, I’m here to remind you that love really is the answer. Because whether you’re in a romantic relationship or not it’s irrelevant. Love is everywhere. It’s just our job to see it. Your family. No family comes without its occasional (or sometimes frequent) drama. You mix a few personalities across a few generations and surely sparks will fly. But if your family is anything like mine, they love you with all they have. I can recall many times throughout my life where the chips fell – and my family showed unwavering support. Take a few moments to appreciate them and the bond you share. Your fur baby. If you have a pup (or cat, if you’re into those sorts of things) go kiss them now. And if you don’t… well go get one. Because I will put all my money on the fact that life is better with a dog. Yourself. Ah, the relationship we all tend to put last on the list. Do yourself a favor tomorrow. Hit the gym. I know that might sound crazy – you’re probably working and possibly having dinner with your significant other, or a friend, or even relaxing at home with a movie and takeout. And any of those options are just fine. But go break a sweat. Not because you’re punishing yourself for some chocolates you ate – but because you can. Because you’re able-bodied. Because you love yourself. So whether you’re in a relationship or not – go tell someone special you love them. 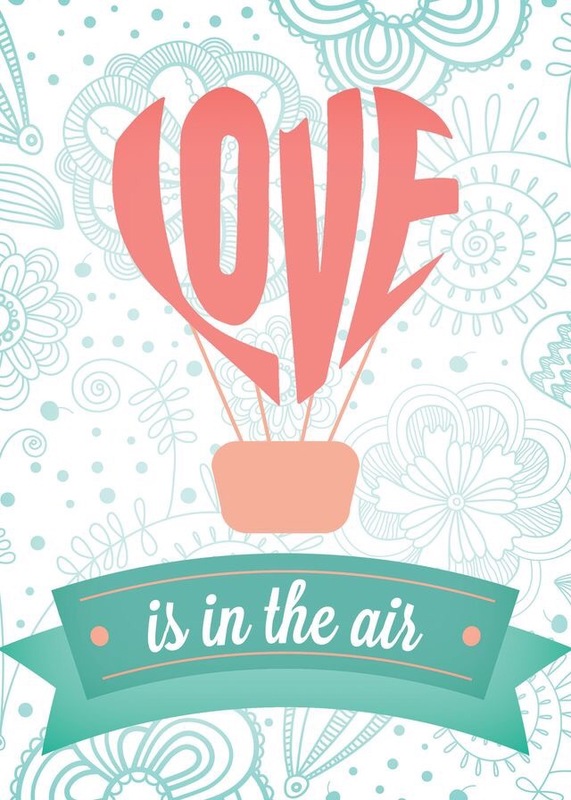 Because love is in the air. We just need to be open to seeing it!